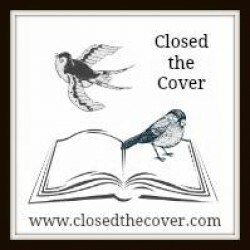 Let me preface this review by stating that my rating of 2 out of 5 stars is in no way indicative of Daniel Clausen's ability as an author nor the central focus, content or structure of this book. My rating is based purely off of my own inability to connect with the book. I know many people who would absolutely love The Ghosts of Nagasaki and would enjoy getting lost in the random dream-like stream-of-consciousness that is the life of our narrator. 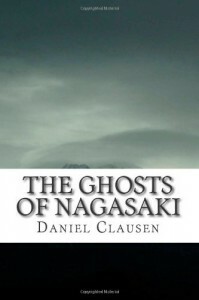 The Ghosts of Nagasaki is dedicated to, among others, "...all the ghosts of Nagasaki. I aspire to one day be as real as you." That statement is essentially the concept of the book. Our narrator finds himself in a foreign land, in the midst of an identity crisis, struggling with the memories of people from his past and the ghosts of Japan. I am not typically a fan of the first-person voice in novels and from the beginning I couldn't connect with the story because of that perspective. I had a difficult time distinguishing between past and present because the story jumps around a lot. Our narrator moves from Nagasaki to Tokyo to America all in the same chapter, sometimes on the same page. I couldn't tell where he was during the time he actually was writing his stories. At one point he mentions moving to Tokyo so I imagined that he must be in Tokyo but in the next moment he's talking in the present tense about being in Nagasaki. I could never tell where he was or where he was working. In some moments he would be talking about teaching and then he would be a business analyst. I am sure that if I had focused a little more directly and put a little bit more time and attention into the novel I could have followed the timeline easier but I didn't feel like putting the effort into a book I was losing interest in reading. I say "losing interest" because when I first started this book I was extremely excited about it. It's a book I had been looking forward to reading for weeks. I was also uncertain about the "ghosts" of Nagasaki. They weren't really "ghosts" as much as they were memories, I think. I wasn't certain if these "ghosts" were haunting him only in his mind as memories of people and places and a time past or if we were supposed to believe that their spirit was with our narrator as he journeyed through Japan. Sometimes he would talk as though he could visually see them in the room with him and interacting with the world around them but at other times it was as if he could block them from his mind and they would fade away as though they were only figments of his imagination. It was as though it was his psyche that was struggling with memories more than it was his physical form connecting with spirits but again, I'm unsure. There were also moments in the book where the vocabulary seemed to be enduring its own identity crisis. The beginning of the book is full of elaborate flowery language that doesn't really seem to fit with how I imagine Nagasaki and a young businessman out to move forward with a new life. It was so lofty that it felt disjointed. As the book progressed the language became more pedantic but then the elaborate similes and metaphors would start again. There was also a period of time in the book where I felt like if I read the phrase, "In my mind's eye" one more time I was going to slam the book shut and move on with something else. It was as though he didn't want to say, "I imagined..." or "I dreamed..." or "Somewhere in my memory..." so instead he fell back on this "mind's eye" phrase that became obnoxious. Then, suddenly, it was a phrase never used again. There was a moment during the story with the Samurai when the narrator is describing this dream-like sequence on a mountaintop and it's descript and poetic and lofty again but then ends with "might twist my ankle." A phrase referencing a simple twist of the ankle is standard writing but it's simplicity felt out of place. It isn't a terrible book. It's actually incredibly creative. I love the concept of a young American man running away from a childhood in the foster system, the death of his foster mom and a troubled youth who tries to find himself in the faraway country of Japan. Ultimately he finds that no matter how far away he runs he can't get away from the "ghosts" of his past. He remains haunted by the girl with the red shoes and Catwoman and Deborah and friends like Mikey Welsh. Finally he must find the ability to face himself, his past and his life past, present, and future. It could be very good but I was unable to relate to it. I am sure that there is a big audience for this book out there and I would absolutely encourage someone to pick it up and read through it, especially if you like first-person stream of consciousness.